An unparalleled archive of shipwreck images will be presented for sale at Sotheby’s London auction on 12th November 2013. Taken by four generations of the Gibson family of photographers over nearly 130 years, the 1000 negatives record the wrecks of over 200 ships and the fate of their passengers, crew and cargo as they traveled from across the world through the notoriously treacherous seas around Cornwall and the Isles of Scilly between 1869 and 1997. Such is the power and allure of the Gibson’s photographs that these images have captured the imagination of some of the UK’s most celebrated authors. 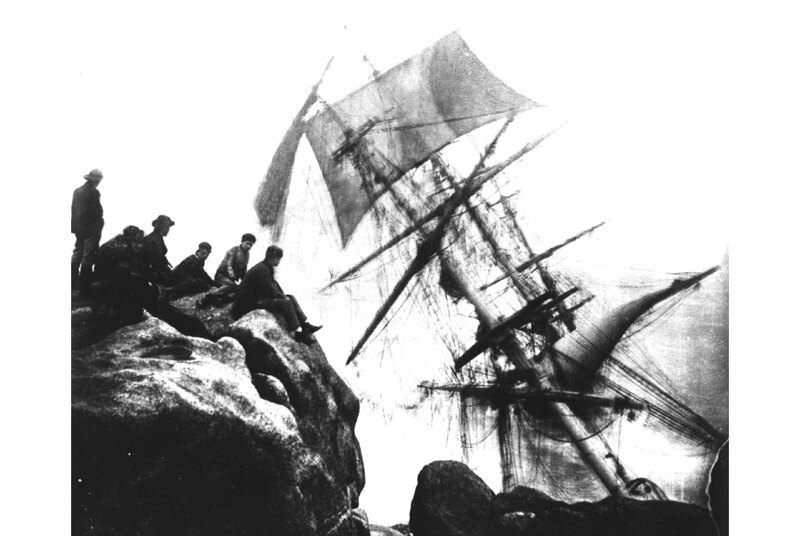 At the very forefront of early photojournalism, John Gibson and his descendants were determined to be first on the scene when these shipwrecks struck. Each and every wreck had its own story to tell with unfolding drama, heroics, tragedies and triumphs to be photographed and recorded – the news of which the Gibsons would disseminate to the British mainland and beyond. The original handwritten eye-witness accounts as recorded by Alexander and Herbert Gibson in the late nineteenth and early twentieth centuries will be sold alongside these images. The archive will be sold as a single lot in Sotheby’s Travel, Atlases, Maps and Natural History sale, and is estimated to achieve between £100,000 and £150,000. ‘This is the greatest archive of the drama and mechanics of shipwreck we will ever see – a thousand images stretching over 130 years, of such power, insight and nostalgia that even the most passive observer cannot fail to feel the excitement or pathos of the events they depict.’ - Rex Cowan, shipwreck hunter and author ‘We are standing in an Aladdin’s cave where the Gibson treasure is stored, and Frank is its keeper. It is half shed, half amateur laboratory, a litter of cluttered shelves, ancient equipment, boxes, printer’s blocks and books. Many hundreds of plates and thousands of photographs are still waiting an inventory.